Will - The basic estate planning document to name a personal representative (executor) of the estate and a guardian for minor children as well as outline your desired plan of distribution of assets. Trust - A trust is a separate legal entity designed to hold and manage assets. 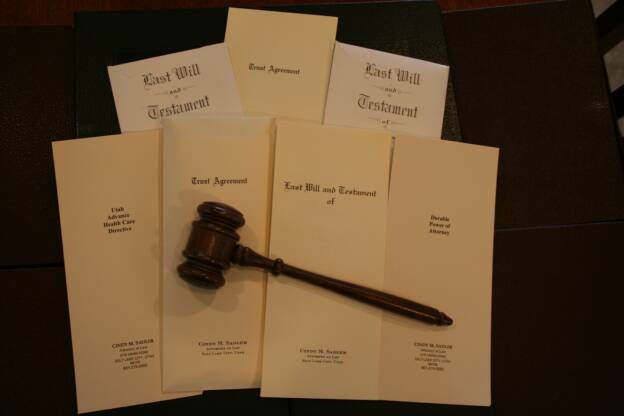 Including a revocable living trust in your estate plan will eliminate the need for probate and provide continued management of your estate upon your disability or death. You can act as your own trustee during your lifetime and name a trusted family member or fiduciary to act as the successor trustee. A trust should be tailored to your specific situation and wishes. Special Needs Trusts provide assistance for family members with disabilities. Trusts can be drafted to minimize your estate tax liability. Power of Attorney - A document that allows you to name someone to make financial decisions for you now or upon your disability. Utah Advance Health Care Directive (Living Will) - This document allows you to name someone to make medical decisions if you are unable to make those decisions for yourself. It also allows you to decide the level of measures to be used to prolong your life or the point at which you would no longer wish to be kept alive by life support.